BBa_K2669002 is a codon optimized AmilCP original native part Part:BBa_K592009. This sequence is codon optimized with the IDT optimization tool, and was optimized for E. coli K12. The native blue chromoprotein AmilCP is derived from the coral Acropora milleporais. The chromoprotein naturally exhibits a strong blue color when expressed. 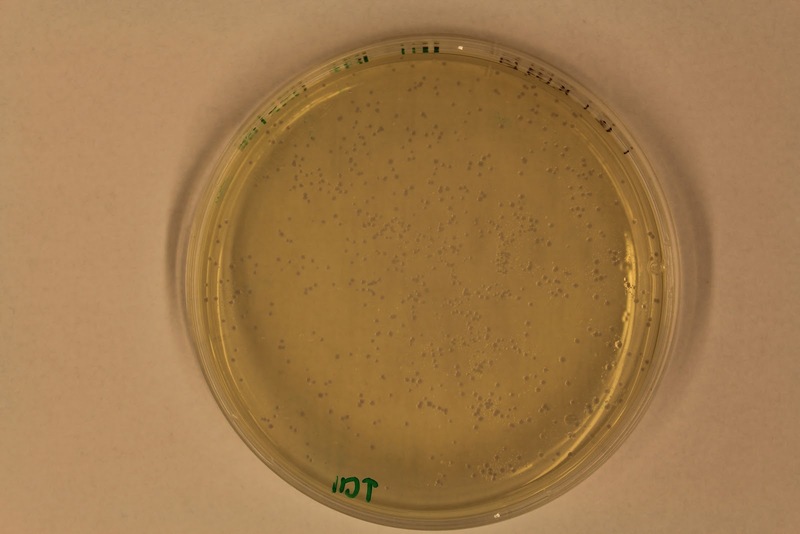 The color can be observed in both LB and agar culture and is visible with the naked eye. This part can be used as an indicator or as a reporter for various kinds of biological research. Figure 1:Transformation plate of the IDT optimized AmilCP sequence.